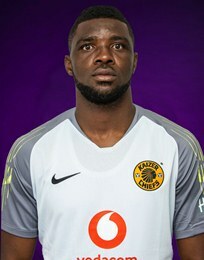 If the last two training sessions held by Kaizer Chiefs are anything to go by, Super Eagles goalkeeper Daniel Akpeyi is poised to make his maiden appearance for the Johannesburg club this afternoon, allnigeriasoccer.com understands. Akpeyi was a deadline day signing from PSL rivals Chippa United in the January transfer window and has been training with his new teammates in the last one week or so. Barring any last minute development, Kaizer Chiefs coach Ernst Middendorp will hand a full debut to his brand new Nigerian goalkeeper in the Soweto derby against Orlando Pirates and he will step out onto the FNB Stadium turf wearing the number 40 jersey. The 32-year-old has promised to keep a clean-sheet and he's confident that they will come out victorious at the end of the game. Orlando Pirates are not among Akpeyi's favorite opponents in South Africa, you have to go back to the 2015-2016 season to find the last time the Nigerian posted a shutout against The Buccaneers, a 2-0 win by Chippa United on May 11, 2016. Having said that, the Super Eagles star has kept clean-sheets in one-third of the games (31 in 92 appearances) he has featured in since moving to South Africa in 2015.